Using data from a panel survey of members of two generations, this study explores observed change in policy opinions across a 9-year span and respondents' recollections and explanations of their self-perceived attitude shifts. In general, remembrances corresponded poorly to opinions as originally expressed, with respondents perceiving that they were more attitudinally stable than was actually observed. 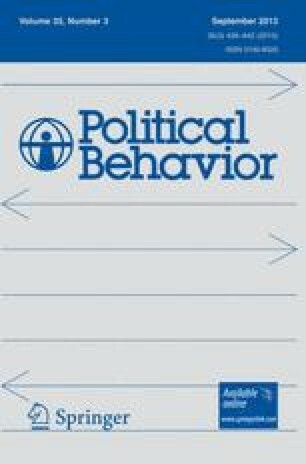 When attempting to reconstruct their past political attitudes, individuals appeared to rely on simple rules of thumb such as one might employ to account for another's behavior. Finally, respondents readily supplied “explanations” for their self-perceived attitude history, even when those perceptions directly contradicted observed opinion change. It is argued that these results are not artifacts of survey measurement problems. Instead, they indicate that policy attitudes generally do not have strong cognitive representations, are eminently changeable, and once they are changed, an individual's cognitive autobiography is revised so as to render the changes invisible.